The great majority of working Americans are unprepared to face the difficult task of planning for retirement. In fact, the personal savings rate has been holding steady at zero for several years, down from 8 percent in the mid-1980s. 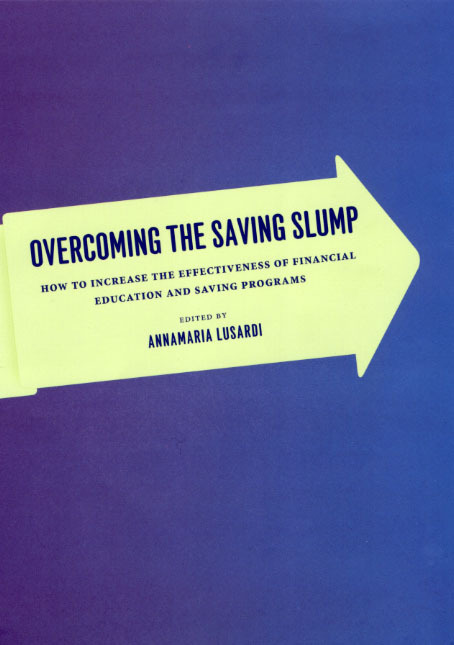 Overcoming the Saving Slump explores the many challenges facing workers in the transition from a traditional defined benefit pension system to one that requires more individual responsibility, analyzing the considerable impediments to saving and evaluating financial literacy programs devised by employers and the government. Mapping the changing landscape of pensions and the rise of defined contribution plans, Annamaria Lusardi and others investigate new methods for stimulating saving and promoting financial education drawing on the experience of the United States as well as countries that have privatized their welfare systems, including Sweden and Chile. This timely volume pinpoints where human resources departments, the financial industry, and government officials have succeeded—or failed—in bridging the way to a new retirement system. As the workforce ages and more pensions disappear each second, Lusardi’s findings will be invaluable for economists and anyone facing retirement.